Console modder extraordinaire Ben Heck is at it again. This time, he’s carefully taken the guts of the Playstation 3’s SIXAXIS controller and sandwiched them inside of an Xbox 360’s wireless controller. 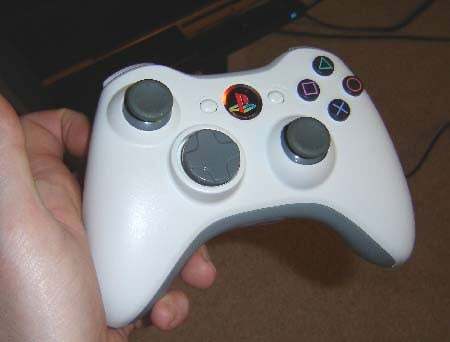 There’s something that’s oh-so-wrong but oh-so-right about the strange bedfellows coming together to form a single mutant controller. He’s even modded the “Ring of Light” with PS3 red LEDs. You can check out all the gory details on how Ben did this mod here.